​"All that are in the graves shall hear his voice, and shall come forth" (John 5:28, 29). "He preached unto them Jesus, and the resurrection" (Acts 17:18). "And when they heard of the resurrection of the dead some mocked" (Acts 17:32). "If there be no resurrection of the dead, … then is our preaching vain, and your faith is also vain; … then is not Christ raised, and … ye are yet in your sins. Then they also which are fallen asleep in Christ are perished" (1 Cor. 15:13-18). WHEN we remember that the word "resurrection" is used no less than thirty-seven times in the New Testament, besides various other words of similar import; and when we remember that all the prominent creeds of Christendom declare faith in a resurrection as an integral and essential part of Scriptural doctrine and of the hope of eternal life—in view of these facts, and of the strong language of the texts above quoted, whose inspiration is conceded by all Christians, it may seem strange that we should ask any Christian the question, Do you believe in the resurrection of the dead? Nevertheless, we have serious reason to doubt that a belief in the resurrection of the dead prevails amongst Christians to any considerable extent; and it is because we believe the resurrection to be a very important doctrine in its connection with other doctrines of Scripture (throwing light upon other doctrines), that we desire to call general attention to this subject and to invite an examination of our question in the light of facts and of Scripture; our hope being that after a careful examination of the subject many more of God's people will come to believe—consistently, logically, Scripturally—in a resurrection. "Like priest, like people," is an old adage, which implies that the views of the teaching or clerical class on any subject may safely be considered an index to the views of their parishioners. It is not difficult to ascertain the views of the clergy of all denominations on the subject of the resurrection of the dead; for, although that topic is rarely chosen for discourse, except upon Easter Sunday, it is, nevertheless, indissolubly attached to every funeral service; and these numerous occasions, we believe, amply justify us in the statement that both the clergy of most denominations and their people have little or no faith in a resurrection of the dead. True, it is customary at funerals to read from the Bible on the resurrection as the Christian's hope, but this seems to be a mere concession on the part of the officiating minister. He feels it to be his duty to read something on the subject, but his remarks prove most conclusively that, so far from believing that the person whose corpse is about to be buried is dead, he believes, and instructs his hearers that they should believe, that the deceased is "more alive than he ever was." Frequently, indeed, he plays directly into the hands of the "Spiritualists" and "Christian Scientists," by telling the audience that the spirit of their dead friend is with them in the room, hovering over them; and that if permitted to speak he would say to them, "Dry your tears; weep not for me; I am far better off in glory." IS DEATH A DELUSION OR A REALITY? Indeed, many Christians have come to believe that death is a delusion, and not a reality; that people merely seem to die, and do not die; that they merely experience a change to a higher form of being; that so-called "Christian Scientists" are quite correct in saying, "There is no death." Whoever holds such views cannot consistently believe in "the resurrection of the dead," because if no one is dead, how can there be a resurrection of the dead? Wherein would be the sense in speaking of a resurrection of the dead to life, if they already have life more abundantly than before they seemingly died? A RESURRECTION OF THE BODY? But thousands of ministers would answer us, saying, "When speaking of the resurrection, we merely mean a resurrection of the body—the bodies which we bury are all to come forth again from the grave, and the spirits which parted from them in death are to be rehabilitated in those bodies in the resurrection. This is what we mean by resurrection." Well, well! Who would have supposed such inconsistency on the part of so many learned and well-meaning men! 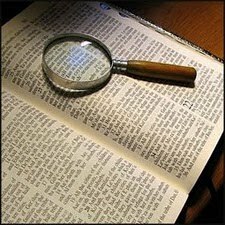 Before taking up the Scriptural side of the question, to show that such expectations are at variance with the Bible, let us examine their proposition in the light of its own inconsistency. "CONSISTENCY, THOU ART A JEWEL"
(1) They tell us that the deceased is "far better off," in that he has gotten free from the "fetters of the flesh," and that now "his free spirit wings its flight to God, no longer hampered by the mortal dust." They go into ecstasies in describing the grandeur, liberty and blessedness of the one who has died, and who, by reason of getting rid of the body, has attained to life more abundant, knowledge a hundredfold, and blessings indescribable. (2) In the same breath they quote the Scriptures referring to the resurrection and (wholly misconstruing these Scriptures) tell us that by and by, at Christ's Second Coming, the same bodies of flesh that were buried will be reorganized. (Dr. Talmage, in his famous resurrection sermon, pictured the resurrection morning, and the entire sky darkened with the fragments of human bodies coming together from various parts of the earth, where a finger, a foot, or a hand had been lost by accident, disease or amputation.) They tell us that then the spirit beings which, they say, left those bodies at death, will return to them, as their everlasting habitations. Then, inasmuch as the resurrection is Scripturally set forth to be the grand and glorious result and consummation of our salvation, they feel compelled to go into ecstasies over their erroneous presentation of the resurrection, and to tell how glorious and grand will be the result. They seem to overlook entirely the inconsistency of these two propositions; and they expect that their hearers will be similarly inconsistent and illogical; and indeed, the majority of their hearers swallow the inconsistency without difficulty; yea, many of them seem to think that the more inconsistent and unreasonable their belief may be, the more reason they have to congratulate themselves that they have a very strong faith. However, the real fact is that they have a very strong credulity. But they will have no reward for believing unreasonable things which God's Word has not taught, but has contradicted. Who cannot see, if he will, that if in dying man obtains life more abundant and knowledge a hundredfold, and a freedom to "wing his flight," etc., he would be sadly disappointed by a resurrection—if it should mean to him reimprisonment in a tenement of clay, with physical restrictions and human limitations? And then, if he had thus for centuries been a "free spirit," roaming at liberty throughout the Universe, untrammeled by a body and bodily limitations, where would be the consistency on God's part of reimprisoning such an one in a human body? And if to be without a body is "perfect bliss," as the funeral orators tell, how could there be anything added to perfect bliss by a resurrection of the body, and a reincarceration therein? From the foregoing considerations we feel that we are justified in our assumption that the vast majority of Christian people do not believe in a resurrection—either the Scriptural kind ("a resurrection of the dead"), or in the kind they themselves teach, namely, a resurrection of the body. With this preface to our subject we go to the Scriptures to learn from them what is meant by "the resurrection of the dead," and in what manner and why the Scriptures speak of the resurrection as the hope, the only hope, the blessed hope, not only of the Church, who are to have part in the heavenly resurrection, but of the world in general, who are to have an opportunity to share in the resurrection of judgment, improperly translated "the resurrection of damnation" (John 5:29). Whoever would believe the Scriptural doctrine of the resurrection must also believe the Scriptural doctrine respecting death—that death is death, the cessation of life. Then, and not until then, will he be able to understand the Apostle's words in our text, "If there be no resurrection of the dead, … then they which are fallen asleep in Christ are perished." Nor is this statement an exception to or different from the teaching of the Scriptures elsewhere. Their unanimous testimony is that the dead are dead; that "in that very day their thoughts perish" (Psa. 146:4). Of the dead the Scriptures further declare, "His sons come to honor and he knoweth it not; they are brought low, but he perceiveth it not of them"; "for there is neither wisdom, nor knowledge, nor device in the grave whither thou goest" (Job 14:21; Eccl. 9:10). SHALL WE BELIEVE GOD—OR SATAN? Here is a direct conflict between modern teachers and the inspired Word, the Scriptures claiming that the dead know not anything, the modern theologians claiming that they know everything. The Bible claims that the dead are really dead, and have really suffered according to the Divine penalty for sin pronounced against our race—"Dying thou shalt die." The opposers take up with Satan's delusive statement to Mother Eve, "Ye shall not surely die" (Gen. 3:4), and attempt to prove that the dead are not dead; that God's penalty against sin did not go into effect, and that death, so far from being the sentence or curse upon our race, is a blessing, a step in a general process of evolution. The two theories are as far apart as the poles, and the two teachers of these two theories, as we have shown, are God, on the one hand, and Satan, a liar from the beginning (John 8:44), on the other hand. Which shall we believe? The entire Plan of Salvation is connected with this question. If death was not the penalty of sin, incurred through Adam, then "life and that more abundant" is not the reward and blessing of God secured through Christ by a resurrection. Satan's proposition, which has been so widely accepted by and which exercises so blinding an influence upon their minds, is the reverse, in every sense of the word, of the Divine proposition that death is the curse or penalty of sin; that Christ died to release man from this sentence, and that the release comes by the resurrection of the dead, who otherwise would never have future life, as says the Apostle in our text. Satan's theory declares death a blessing which brings the fulness of life, liberty and joy, and would make of the resurrection a curse, bringing imprisonment, difficulty, restriction, pain and trouble. No wonder that, blinded by this deception of the Adversary, the majority of the great theologians of Christendom—and rapidly their many followers—are leaving the doctrine of the Atonement, which declares that as by a man (Adam) came death, so also by a man (the man Christ Jesus) comes the resurrection of the dead; that as all in Adam die, even so all in Christ shall be made alive (1 Cor. 15:21, 22). If the reality of death is denied, it is no more difficult to deny the reality of sin. If it is claimed that Adam was not created in the image and likeness of God, but was created a very close image and likeness of the monkey, it follows that in that low condition of intelligence he was unfit for trial for eternal life; and it is only a further step to deny that he ever had a trial, and that he ever failed and fell from grace. And if the fall is denied, and, instead, the claim is put forward that man has really been advancing even to the present time—losing his likeness to the monkey and gaining in likeness to God—then it will be consistent also to take the next step, and declare that since man did not fall he did not need to be redeemed from the fall. Hence, with all such reasoning upon an unscriptural basis, it appears logical to deny the oft-repeated declaration of God's Word, that Jesus is our Redeemer, and that "He is the propitiation for our [the Church's] sins, and not for ours only, but also for the sins of the whole world," giving for us, as our Ransom, or corresponding price, His own life, that He might buy back the forfeited life of Adam (1 John 2:2; 1 Tim. 2:5, 6). We thus see that the leading lights of Christendom today repudiate both of the cardinal features of the Gospel, which the Apostle preached of old: "He preached Jesus and the resurrection"—Jesus as the Redeemer of mankind from sin and its curse—death—and the resurrection as the grand result of that redemptive work, by which the blessings secured by the Ransom-sacrifice will be made applicable to and available for whosoever wills to accept eternal life upon the Scriptural terms. We are reminded here of our Lord's own words respecting unbelief at the present time: He says, "When the Son of Man cometh, shall He find the faith on the earth?" (Luke 18:8). The Scripture declarations respecting death are in full accord with the testimony of the five senses given us as men by our Creator. This is what we should expect, though we should be ready to admit the possibility of our senses being in error if God's Word contradicts our senses. But when our senses are contradicted by a human theory, contrary to Scriptural statements, the theory should be rejected and the testimony of the senses held to be true; and when the Scriptures and our senses together unite in one testimony, it is certainly wrong to hold to a theory of human dissolution which is contradicted by God's Word and by our own senses as well. And whoever thus repudiates his God-given (though sin-impaired) senses and the Divine testimony, need expect nothing else than to be led into darkness and stumbling. Today, as nineteen centuries ago, the blind are leading the blind into the ditch of unbelief and error. The testimony of our senses, like the testimony of God's Word, is that death means the loss of life, and not an increase of life. Watch the dying one and note his weakening powers, mental and physical, until the spark of life becomes extinct. You have seen nothing go from him, you have heard nothing but the death-rattle; you have felt the gradual cessation of the pulse, and noted the gasping for breath; and all of your senses which you can exercise upon the subject tell you that your friend, your loved one, is dead—alive no longer. You look about you and study the subject and inquire of others, "What next?" The answer to your senses is, "The next thing is corruption, when the spark of life has gone the corpse must be buried; 'dust to dust, ashes to ashes.'" You note the similarity between the death of your friend and loved one and the death of the brute beast, and your senses can discern no difference between them; and the Scriptures declare, "As dieth the one, so dieth the other; they have all one [spirit of life] breath"—Eccl. 3:19). But with a longing for a future life, implanted in your nature by our Creator, you inquire, Is there no hope—hath a man no pre-eminence above a beast? The Scriptures answer that, physically speaking, man "hath no pre-eminence above a beast," but they assure us that the Creator has, nevertheless, made a provision for man that He did not make for the beast, viz., everlasting life; and that this provision for man's everlasting life was made by God in the beginning—not by implanting a deathless quality in man's constitution, but by providing in the life-sustaining trees of the Garden of Eden, the means of continuing his life everlastingly; nevertheless, this provision was conditional, dependent upon man's obedience to his Creator. The Scriptures point out that man's disobedience brought upon him the sentence of death, and that the execution of that sentence was effected by driving him out of the Garden, away from the life-sustaining fruit of its trees. Thus driven out, the sentence, "Dying, thou shalt die," took effect upon Father Adam gradually, and he lived out nearly to the end of the first thousand-year day. His posterity, becoming weaker and weaker as generations rolled by, are today (notwithstanding the many advancements in science and medicine and sanitary arrangements), reduced to an average of about 35 years—"and if by reason of strength they be fourscore years, yet is their strength labor and sorrow" and they are soon "cut off from the land of the living," to go into "the land of the enemy"—into the great prison-house of death, in which it is estimated that over 20,000,000,000 of our race now are—"where the wicked cease from troubling and the weary are at rest" (Job 3:17-19). The Scriptures answer our inquiries respecting the dead. While assuring us of the justice of the Divine sentence of death, they nevertheless declare that our Creator is a God of mercy and of pity, and that when there was no eye to pity and no arm to deliver us, His Arm brought salvation to us. The Scriptures, moreover, point to Jesus as the Arm of Jehovah, stretched down for our relief from sin, sickness, pain and trouble, and for our deliverance from the prison-house of death, and for our restoration to the liberties and privileges of sons of God. It was in harmony with this Divine sympathy that, in due time, God sent His only begotten Son into the world, for our redemption—to give for us the Ransom-price, and ultimately to recover all who will accept of Divine mercy, from all the consequences of the fall by a resurrection from the dead. But Divine Love could not make void Divine Justice; it was necessary that God should be just, if He would be the justifier of them that believe in Jesus; hence the demands of Justice—the penalty for sin—must be paid by our Redeemer, before the work of release and restitution could begin. Here we have the best of evidence as to what is the penalty of sin, and what is not; because, since Jesus pays for us the just penalty of sin, what He laid down for us will prove what was the penalty against us. What did He do for us? He laid down His life for us; "He died for our sins"; "He died, the Just for the unjust"; "He poured out His soul unto death"; He "made His soul an offering for [our] sin," and "by His stripes we are healed" (Rom. 5:8; 1 Pet. 3:18; 1 Cor. 15:3; Matt. 26:38; Isa. 53:4-12). It is evident that Jesus did not suffer an eternity of torment as the price of our redemption; hence, if the matter needed proof we have here the proof that eternal torment was not the penalty for our sins. On the contrary, the fact that Jesus died for our sins, and that the Heavenly Father accepted of that sacrifice of His life on our behalf, proves that it was our lives that were forfeited by sin; that the full penalty of the Divine Law against us as a race was the deprivation of life. The whole race, under sentence of death, has gone down to the great prison-house of death—the grave, sheol, hades. And so our dear Redeemer, when He gave up His life for us, went also to sheol, hades, the grave. He took our place, and suffered for us the penalty for our sins. But as Jesus' death ransoms man from the sentence of death, so His resurrection from death became the assurance of the justification of all who accept and obey Him. The Heavenly Father gave evidence that the Ransom-price was entirely satisfactory; and our Lord, who was thus obedient to the Father, was raised from the dead and, as the Father's Agent and Representative, will soon begin the work of blessing the entire world redeemed by His precious blood. The blessing of the world means the breaking open of the prison-house and the setting at liberty of the captives, who for six thousand years have been going into the prison-house of death. For this reason our Lord is called the Life-giver, because His great work will be to give back life to the world of mankind, who lost life in Adam. And since the restoration of life to mankind will mean the removal of pains and sicknesses and troubles, which are a part of the dying process, our Redeemer is styled the Great Physician. The prophecy which mentions the breaking open of the prison-house of death, and the setting at liberty of its captives (Isa. 42:7), was applied, and unquestionably correctly, by our Lord to Himself; but He did not break open the prison-house of death, and set all the captives free by resurrection immediately upon His own resurrection. He tells us when this work will be done, saying (John 5:25, 29), "The hour is coming in which all that are in the graves shall hear his [Jesus'] voice and shall come forth"; "and they that hear [obey His voice then, Acts 3:22] shall live." Our Lord thus passed over the Gospel-Age interim, and pointed to the grand consummation of His work in the incoming Age, because such was the Father's prearranged Plan. "The Father sent the Son," and the Son willingly undertook the work of redemption, at a time sufficiently in advance of the "Times of Restitution," or resurrection, and the general blessing of the world during Messiah's Reign, to leave the interim of this Gospel Age for another work, namely, for selecting from the world a "little flock," a "Royal Priesthood," a "peculiar people," a "holy nation," to be joint-heirs with their Lord in the honors of the Mediatorial Kingdom. These will be associated with the Redeemer in the grand and glorious work of destroying the Prince of Darkness, breaking open the prison-house of death, and setting at liberty the captives of sin, ignorance and superstition; and in fulfilling generally all the provisions of the gracious promises of God made to Father Abraham that in his Seed (Christ, and His elect Body, the Church), "all the families of the earth shall be blessed" (Gal. 3:8, 16, 29). This brings us to the Scriptural proposition, that there is a first, a chief or special resurrection, and a general one later. The first or superior resurrection includes the resurrection of our Lord Jesus and of the elect "Church which is His Body"—no more, no less. Blessed and holy are they that have part in the First Resurrection; on such the Second Death hath no power; but they shall be kings and priests unto God and shall reign on the earth—the Messianic Kingdom class. Those who share in this First Resurrection are "changed" from the human to the Divine nature—the highest of the spirit natures; not human, not flesh and blood, for "flesh and blood cannot inherit the Kingdom of God. "* Some of the characteristics of their change are indicated by the Apostle as a change from weakness to power; from dishonor to glory, from corruption to incorruption, from a natural [human] body to a spirit body. ​* Some are confused by this expression, "flesh and blood"; they fail to see that it signifies human nature; we therefore invite such to examine the use of the same phrase elsewhere. In so doing they will be convinced that our definition, human nature, is the correct one, the Scriptural one. See the following uses of the phrase: Matt 16:17; John 3:5, 6; 1 Cor. 15:50; Gal. 1:16; Heb. 2:14. The time for this best, or chief resurrection is everywhere in Scripture indicated to be at the close of the Gospel Age, when the Gospel Church, the Body of Christ, is completed. This includes the living members, whose "change" to spirit nature is instantaneous, so that the moment of their dying as human beings is the moment of their "change" to perfect spirit beings. Meantime, the Scriptures declare that the Lord's people who have died, like the rest of mankind, are really dead, as human beings, and know not anything; but inasmuch as God has provided for their resurrection, and inasmuch as they have been informed respecting it, and have hopes therein, therefore they are spoken of as being merely asleep—resting from their labors; waiting for "the crown of righteousness, which the Lord, the righteous Judge, shall give me at that day, and not to me only," as the Apostle declares (2 Tim. 4:8). And, likewise the world of mankind, even though they know not of the Lord as yet, are spoken of as being "asleep in Jesus," because, as the whole world was under condemnation of death through Adam, and that without knowledge or volition on their part, at the time of the sentence, for they were then in the loins of their father, Adam, so now, since Jesus laid down His life a Ransom for all, and because they all shall be awakened from death, therefore it is proper for all those who are aware of the Divine provision for the awakening, by faith to speak of the interim figuratively as a sleep. Thus the Apostle exhorts us to trust and hope in the resurrection as respects all our dear friends who go down into the prison-house of death, and not merely as respects those who were sanctified in Christ Jesus, which would include, as a rule, only a small proportion of those for whom we would be inclined to sorrow. He says, "I would not have you to be ignorant, brethren, concerning them which are asleep [all our sleeping friends], that ye sorrow not, even as others who have no hope. For if we believe that Jesus died [a Ransom for all] and rose again [that He might be Lord and Life-giver to all], even so [let us believe as truly that] those also which sleep in Jesus [all whom He purchases with His precious blood] will God bring by Him [from the prison-house of death]" (1 Thes. 4:13, 14). But as the First Resurrection is the resurrection of the blessed and holy, of the sanctified in Christ Jesus, His Body, so the general resurrection, which is for the world, is designated as "a resurrection of judgment," mistranslated in our Common Version "resurrection of damnation" (John 5:29). It is styled a "resurrection of judgment" because, while all the preparation has been made, so far as God is concerned, for granting to the world of mankind a full resurrection or restitution back to all that was first given to Adam, and lost by his disobedience, to be recovered by our Savior's precious blood, yet there are certain conditions attached to this blessing upon which it depends, namely, the conditions of the New Covenant. God does not propose to give eternal life through Christ to any others than those who earnestly desire it, and who are in heart sympathy with the principles of righteousness which must always be the Law of the Divine Government. Hence when the world is awakened from the sleep of death, it will not signify resurrection, but much less; for resurrection, in its full, complete, Scriptural sense, signifies a complete raising up, out of sin and out of death, to perfection of being, perfection of life. The first work of Christ and the Church in the world, for those who have gone down into death, the prison, will be their awakening to physical conditions similar to those in which they died. The surrounding conditions of society will then be greatly improved; knowledge will have taken the place of ignorance, and the reign of righteousness and the law of love will have superseded the rule of sin under the law of selfishness; and Satan will be bound, that he shall deceive the nations no more for the thousand years. Under the favorable conditions of that Mediatorial Kingdom, all mankind will be required to make progress in the knowledge of the Lord and in the bringing of their own hearts and lives into accord with His law of Love. Whosoever then will make no effort in the right direction will be cut off from life, in the Second Death, after one hundred years of trial (Isa. 65:20), although he would then, under the changed conditions, be properly reckoned as only a lad. But while judgment will thus pass against one who fails to make progress, and will cut short his further opportunity, the same judgment, by the same Judge, will operate favorably to all who will seek righteousness, and make progress in harmony with the laws of the Kingdom; so that year by year they will be growing mentally, physically and morally stronger—approximating gradually the full, complete standard of perfect manhood, the image and likeness of the Creator, as first represented in Father Adam. Thus the world's resurrection will be a gradual work; its first step an awakening from the sleep of unconsciousness and nonentity; its succeeding steps will be along the lines of judgment, the conduct of those who are on trial being either approved or disapproved; and culminating either in their sentence to the Second Death, incorrigible, and unworthy of the gift of God, eternal life—or in their perfection, and their final adjudgment of worthiness to have and enjoy the great boon of Life Eternal, under the blessed conditions which are then promised to prevail—when there shall be no more sighing, no more dying, no more crying, because there will be no more sin and none of the penalties for sin, for all the former things shall have passed away (Rev. 21:4). The condition of the dead, up to the time when the resurrection work begins, is one of total unconsciousness: "There is neither wisdom, nor knowledge, nor device in the grave whither thou goest"; "His sons come to honor and he knoweth it not; they are brought low, but he perceiveth it not of them." Of each of the Patriarchs of the past it is written, "He slept with his "fathers"; "He fell asleep." And so also in the New Testament we have a similar record: "Stephen fell asleep." St. Paul speaks of those who saw the Lord after His resurrection and says, "He was seen of above 500 brethren at once, of whom the greater part remain to this present time, but some are fallen asleep." Again he speaks of some which are "fallen asleep in Christ," here distinguishing between the Church, who are in Christ,* as members of His Body, and the world in general, who "sleep in Jesus" (Eccl. 9:10; Job 14:21; 1 Kings 2:10; 11:43; Acts 7:60; 1 Cor. 15:6, 18; 1 Thes. 4:14). * Christ is the title of our Lord as the New Creature, and of His office; while Jesus is the name of the Redeemer, through whose sacrifice comes to all men an opportunity to share in a resurrection of the dead. ​The Apostle shows that this sleep-condition would prevail, even as respects the Church, until the time of Jesus' Second Coming, assuring us that the living members of the Church at the time of the Lord's Second Advent would not be blessed prior to those that had fallen asleep, but contrariwise, the living "shall not prevent [precede] them that are asleep," for the dead in Christ arise first; then those who are alive and remain are blessed, and ultimately experience their "change." The moment of reawakening will seem to the awakened ones to be the next moment after their death—"for there is neither wisdom, knowledge nor device in the grave." The bodies in which the world will be awakened will be practically the same as those which died, though not the same atoms of matter; for in the hands of our Creator one atom of dust is as good as another in this great work. Thus St. Paul says, "Thou sowest not that body which shall be" (1 Cor. 15:37). The bodies of the world, as they shall be when awakened, will be really new bodies, in the sense that they will be different atoms of matter; but they will be old bodies, in the sense that they will be duplicates of those which died and went to dust. We cannot wonder that the worldly mind, which knows not God and knows not of His power, cavils at the thought of resurrection. It will be a most stupendous work, more wonderful by far than man's original creation; it will thus be to mankind, and to angels also, the grandest exhibition ever given of Divine Omnipotence. He who formed man in the beginning, in His own image, has the power not only to form him again of the dust of the ground, and to re-enkindle the spark of life, but yet more than in these will He exhibit both His Omnipotence and His Infinite Wisdom in the restoration to each being of a brain like his present one, having recorded therein the events and circumstances which have transpired in the present life—just as a phonograph record bears in itself the recorded words of the speaker, which can be reproduced at another time and place. None but an Infinite Being could claim the power thus to reproduce the very thoughts of the billions of mankind. He of whom it is said that He knows the very hairs of our heads and their number, and that not a sparrow can fall to the ground without His notice—only He could do so great and wonderful a thing; and only as we have learned to have confidence in Him through the revelation of His Word could we exercise faith in such a stupendous miracle as He has promised shall be performed. Nor need we expect that the world of mankind will all be awakened simultaneously, but rather that the great work of the Messianic Kingdom will begin with those who have not gone down to the tomb, but who are nevertheless in death, in the sense that they are not alive in the complete, full measure of freedom from the power of death. When the work of restitution shall have progressed to some extent with these, we may expect that some of those who have previously fallen asleep in death will be awakened, and share in the blessings of that glorious Day. Later, others, and still others, will arise, until eventually it will be true that, in that Day, the Day of Christ, "all that are in the graves shall hear the voice of the Son of God"—shall obey the mandate, "Come forth"—and shall be brought to a knowledge of the goodness and love and mercy of God; and, if they will, ultimately to the full perfection of human nature—the earth, meanwhile, being fitted and prepared as a Paradise of God for His restored family. Meantime, the exhortation to all the called in the present time is that we should seek to make our calling and election sure to a place in the Kingdom.